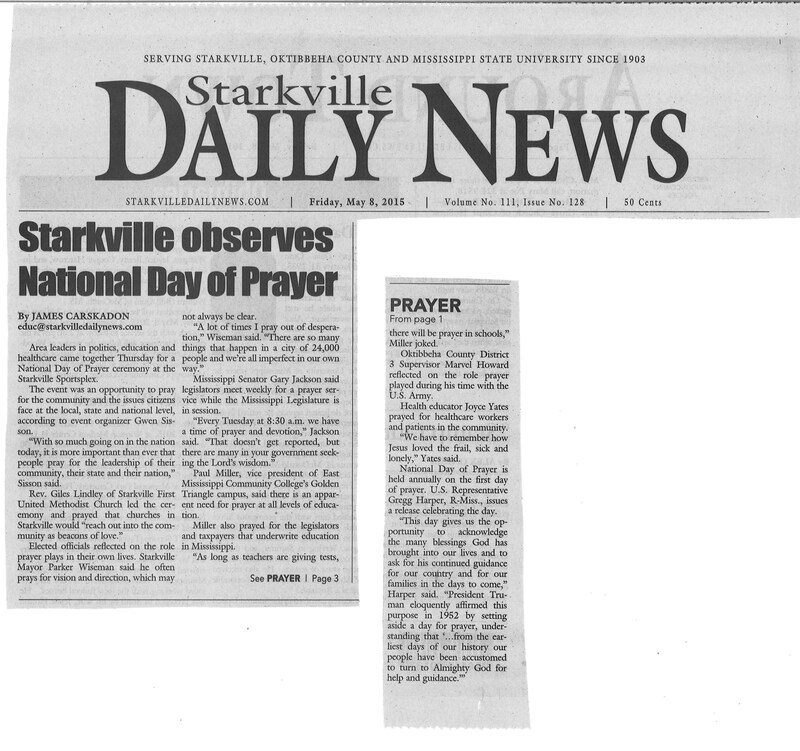 The speakers for Starkville’s Observance of the National Day of Prayer were FANTASTIC! THANK YOU to Starkville Mayor Parker Wiseman, Rev. Giles Lindley of Starkville’s First United Methodist Church, Dr. Paul Miller of East Mississippi Community College – Mayhew Campus, Dr. Joyce Yates, Senator Gary Jackson and Marvell Howard of the Oktibbeha County Board of Supervisors. SPECIAL THANKS to The University Florist and Vicki Leach for their help with the goody bags this year! And thank you to all those who made it a point to stop by and pray for our community, the state of Mississippi and our nation! We were so honored that you were there to join us!